The books have some fun details, to my surprise I enjoyed Quidditch through the ages most, it explained in so much lovely details how Quidditch started and evolved. I bought the set on Amazon, and highly recommend it, also a lot of the profits go to charity of these books. P.s. did you know that J.K. Rowling is the first Billionaire who lost that title because of the huge amount she donates to Charity? Something more to admire her beside her amazing penmanship! 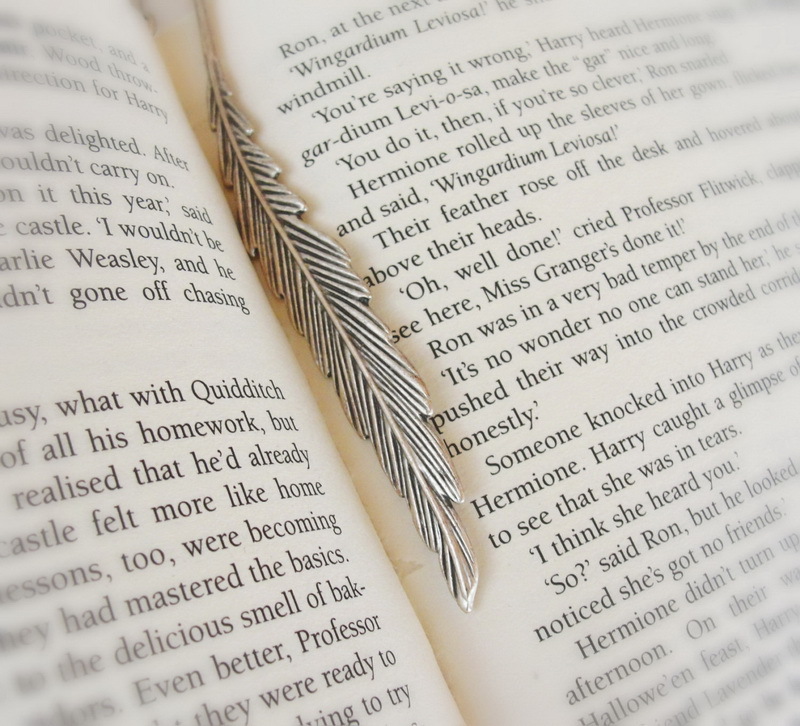 During Christmas we sold out our lovely Feather Wingardium Leviosa inspired bookmarks, but they are back in stock and even more fun now. Now you can choose the color of the house you belong in, if you are not sure if you are a Griffindor, Ravenclaw, Slytherin or Hufflepuff, you can do this quiz to see in which house you fit in best :) (I came out as a Ravenclaw). It is a limited edition of 2 and available in our StaroftheEast shop. Ahem sorry, but you forgot to put the link! Lovely books! I am not a big Harry Potter fan since I was pretty old when the books became famous but I love that first page of the book! And lovely bookmarks!